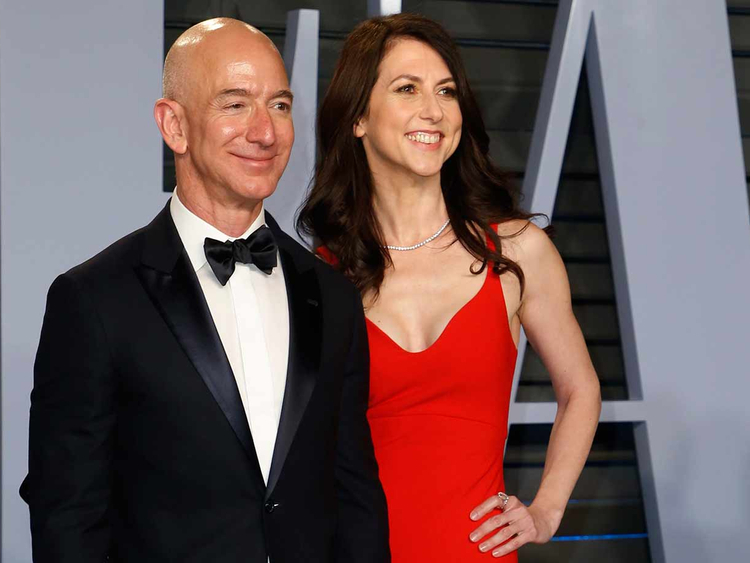 MacKenzie Bezos is set to become the world's fourth-richest woman after her divorce from Amazon.com Inc. founder Jeff Bezos is finalised. She'll receive a 4 percent Amazon stake, currently worth about $36 billion, as part of the settlement, according to a filing Thursday from the Seattle-based company. The divorce is expected to be com-pleted in about 90 days. Her stake in Amazon ranks her behind the $54 billion fortune of L'Oreal SA heiress Francoise Betten-court Meyers, the $44 billion held by Alice Walton and the $37 billion net worth of Jacqueline Badger Mars, according to calculations by the Bloomberg Billionaires Index. Jeff Bezos, 55, will continue to exercise sole voting authority over the shares, according to the filing. He will probably remain the world's richest person, with a 12 percent Amazon stake that's currently valued at $107 billion. He will retain other assets, including the Washington Post and space-exploration company Blue Origin, which adds $4 billion to his fortune, according to the index. "Happy to be giving him all of my interests in the Washington Post and Blue Origin, and 75 percent of our Amazon stock plus voting control of my shares," MacKenzie Bezos, 48, said in a tweet. Jeff Bezos said in a tweet that he was "grateful to all my friends and family for reaching out with encouragement and love. It means more than you know. MacKenzie most of all." "It's a win-win," said Jennifer Payseno, a partner with McKinley Irvin in Seattle. "Any time you can really work through things and reach an agreement you are far better off that if you'd gone to court and into litigation or arbitration."